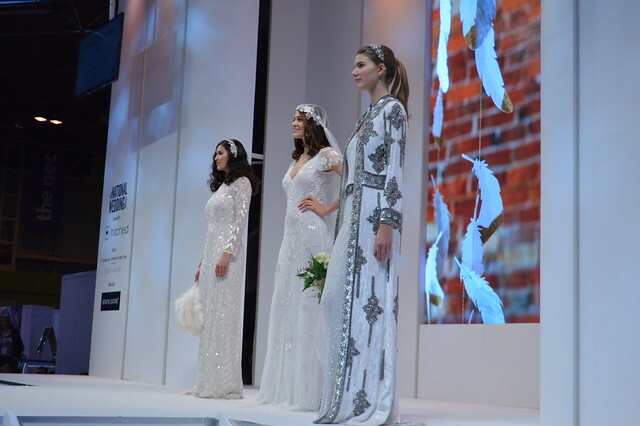 With inspiration and advice from over 250 wedding specialists, thousands of dresses to suit all budgets and a show-stopping catwalk, The National Wedding Show is a fun day out and a great place to start planning your perfect wedding. I attended the show in Birmingham NEC with my mum and made a real day of it. It was the first time I had done any real wedding planning and tried on dresses. No High Street stores stocks wedding dresses in Cardiff, you have to order them in specially. This is a bit tricky for a bride on a budget as I don't have a credit card to put the dresses on and I would want to order a few sizes and shapes to try on. Most bridal boutiques are completely out of my price range so I was really excited to attend the show and actually get to try some dresses on and take a look at some designer dresses with Wedding Show discounts and offers that would fit my small budget. 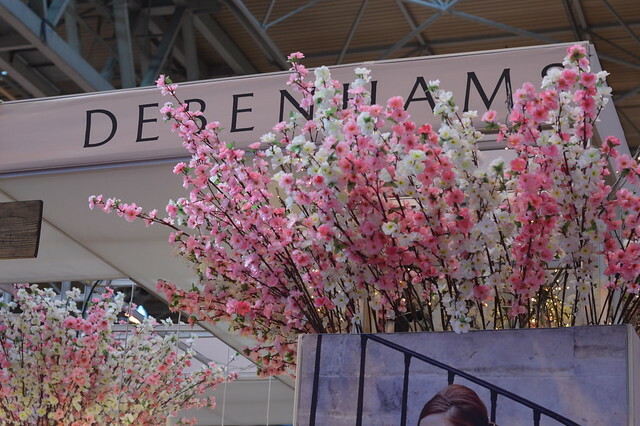 I was a guest of Debenhams for the day and headed straight to their beautifully presented stand. 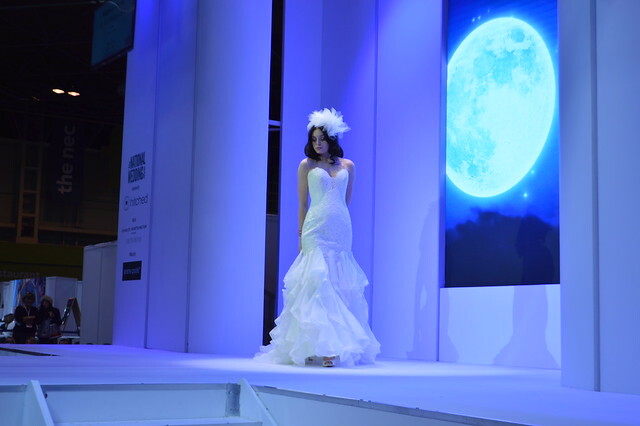 Their entire bridal collection was there to view along with their bridesmaid, bridal lingerie and bridal accessories collections, as well as the Mother of the Bride and kids collections. 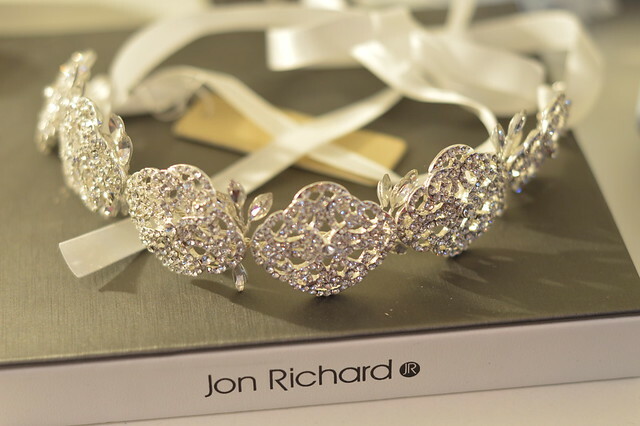 Staff at the stand and in-store can offer style advice for the big day and make suggestions for a gift list, it can be a one stop shop for all of your weeding needs. 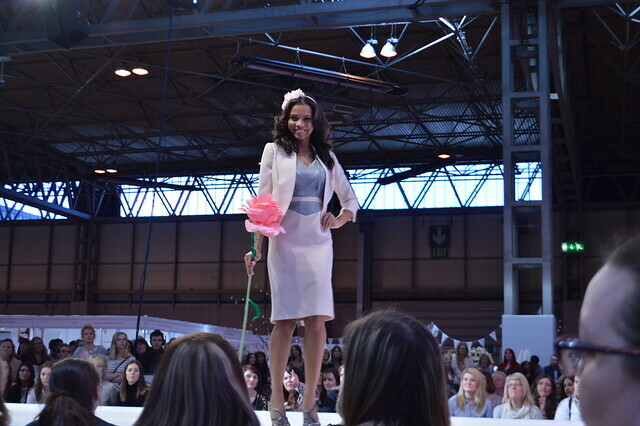 I fell in love with a Coast two piece outfit for my bridal party at the Debenhams stand and my mum was particularly taken with a grey and pink dress that featured in the catwalk (photo above). Being a size 18 it wasn't possible to try on all the dresses I liked but there was a pretty, budget friendly one from Berketex I was able to try on and it was useful to see some of the detail up close and be able to compare what you get for your money when you opt for budget or splash the cash on designer (not a huge deal more in my opinion, some more beads ands a extra tailoring). 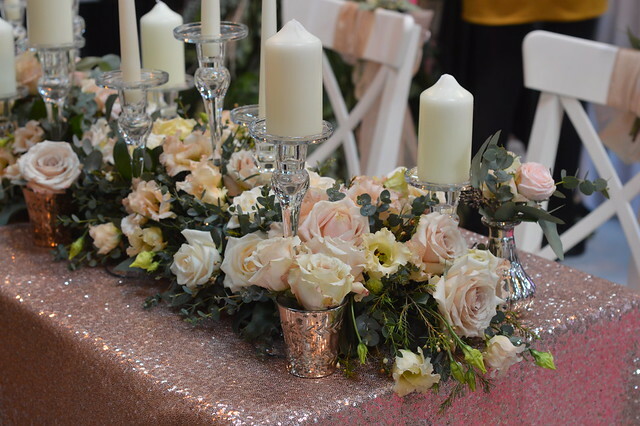 I was a little worried that attending the show would be a bit disheartening for a budget bride but there was plenty of options in my price range and it was useful in terms getting ideas for my own wedding day even if I would have to recreate things with a bit of DIY and crafting and help from wiling friends. As well as trying on some dresses the day was also useful in terms of getting inspiration for cakes, invitations, photographers and even the honeymoon. I hadn't really put much thought into how I was going to capture my day on film before going to the show and I'm now seriously considering a photo booth and videographer if I can stretch my budget or discuss only a couple of hours coverage at a reduced price. If you would like to attend the show yourself there will be another chance in the autumn. This is my first wedding post on the blog, I'm now in full on wedding planning mode so I'm sure there will be a couple more to follow. Can you recommend any South Wales wedding vendors? 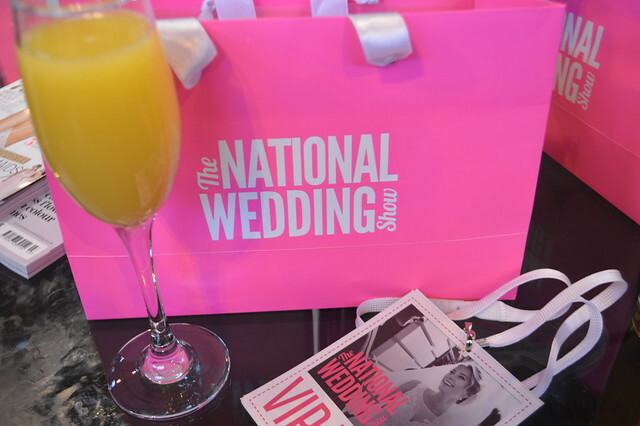 Have you been to a wedding show as part of your wedding prep or did you you exactly what you wanted right from the start? What a fab day out! I've never been to this kind of show but it sounds great with everything in one place. Hey Friend.. you know you have inserted the best pictures in the blog. as i am working with a Photo booth rental miami service provider so i appreciate your work... well done. I attended this wedding show and got many inspirations for décor and other things at my wedding venues Los Angeles. It was such a great fun. The best part was that we got free passes and attended this awesome event with my love.